Hello, and welcome to my blog! Here you will find weekly-ish posts featuring new and unique ideas on involving youth in family history. 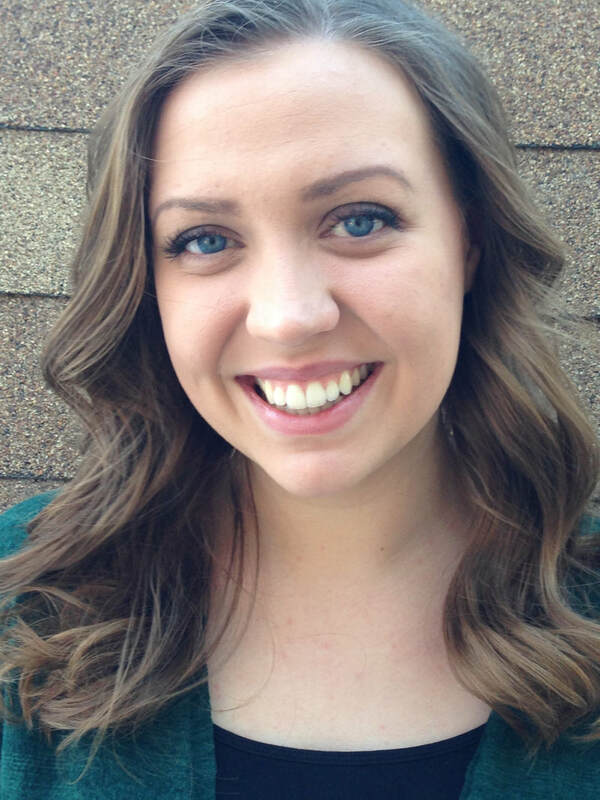 I am so excited for my fourth year at RootsTech! I love this conference, and I’m sure you will too! With over 300 classes to choose from, you may feel a little overwhelmed. So here is your ultimate guide to picking RootsTech classes! 1. If you are choosing between two classes, and the first one will be recorded or live-streamed, go to the second class. You’ll be able to watch the first one later. You can find the recorded schedule here, and the live stream schedule here. 2. If you are choosing between 2 classes, check to see if one of the classes will be repeated during another session. It might be easier to go later in the conference. 3. Check for a syllabus. Sometimes, all the information you need from the class can be found on the syllabus. I advise picking a class where the presenter isn’t just reading from the slides. 4. If a class is sponsored, be aware that it will be spent teaching the attendees how to use, or why they should use, their product. This is totally fine, but you can likely find the same info at their booth or website. It’s all about making the most of your time. 5. Always have two options on your class schedule. 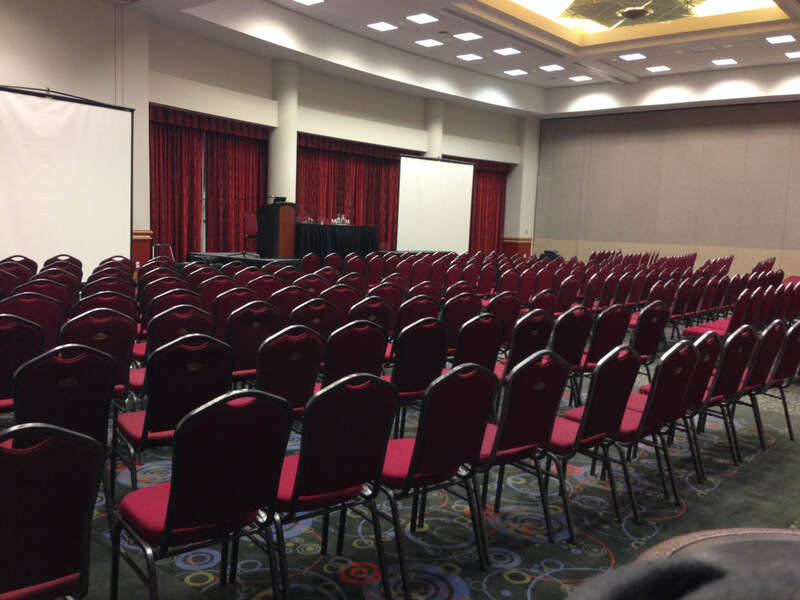 RootsTech classes fill up quickly, and you may not get a seat. “Oh, I’ll just stand or sit on the floor then.” No, not allowed. Fire code capacity rules mean that you’ve gotta have a seat. So if there’s no room, go to your back-up class. 6. Set aside a couple class sessions to spend in the Expo Hall. Trust me, you’re going to want more time in there. Check back next week for the Ultimate Expo Hall Guide; I'm kind of the expert on it, haha. What classes do you look forward to attending? Let me know, and I hope to see you there! Imagine watching a video of your life, but only one second for each day. With one of my favorite apps, you can! A record of your life can be kept through many different mediums – written journals, typed journals, scrapbooks, social media. I love recording my life through video. 1SecondEveryday is a free app that makes it really easy to summarize your life in 1 second clips. Here’s a video with some clips of my life this year so you can get a feel for how it works! You can “mash” a video of your clips whenever you want: yearly, monthly, weekly, or randomly! I like to make a video for each month and share it on Instagram. Here’s a short video tutorial on how to use the app! Here are some tips I’ve learned over the year! Film multiple clips some days: If you forget to film one day, you can time travel one of the extra clips. Plus, it gives you options to choose from. Follow the hashtags #1SecondEveryday or #1Seme to see other peoples’ videos! This helps me get ideas of what to film. When I watch my videos, my favorite clips have people in them. Discover what you like best! Explore different angles! It keeps things interesting and fun. Decide when you want to mash your clips. Some of my friends do it at the end of each year, which results in a 6-7 minute video. I have a hard time watching those because the quick pace requires a little bit more focus. Don’t sacrifice enjoying the moment to get a good shot. If you can get a video clip during the activity, that’s great! But don’t revolve your time around making an amazing video. Capture life as it is. This may mean a shot of you doing the dishes, tying your shoes, spoon-feeding your baby. It could mean dancing, skiing, partying, etc… It is all wonderful and beautiful. If you get the app, tag me in your videos! I would love to see them! 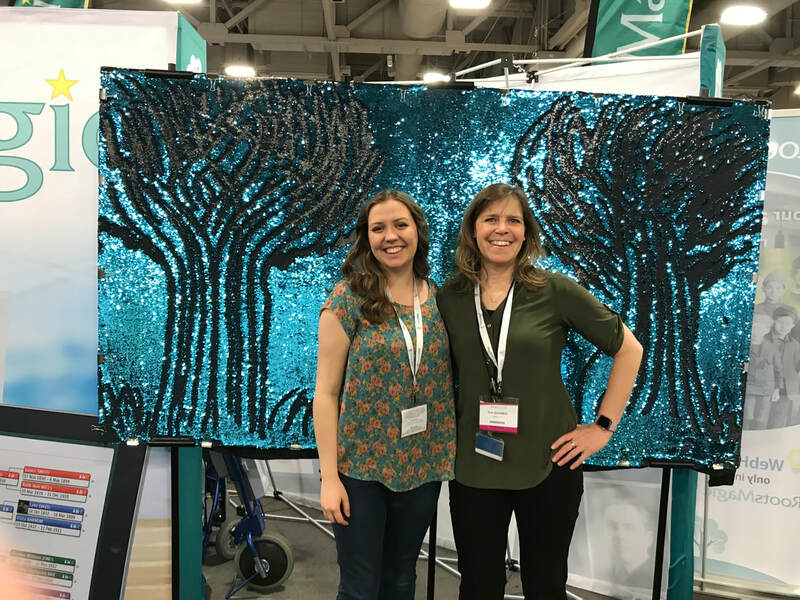 I attended the full length of a RootsTech conference for the first time when I was 14 years old and I LOVED IT! I don’t think I’d ever felt so “adult-y” before. Sure, all the free candy in the vendor hall was awesome, but there was so much more than just a plethora of fun size Reese’s to keep me interested! I counted down the days until the next RootsTech and attended again in 2016. And then stinkin’ school got in the way. Apparently, a burning passion to attend a genealogy conference doesn’t sway high school teachers to let you take midterms another day. Isn’t that right, Ms. Bell? I may or may not still be bitter about that. But don’t lament such a sad situation, for I was able to return to Rootstech in 2018! And what a glorious few days they were. So why would I, now an 18 year old college freshman, care so much about going to a genealogy conference? 2. A venue to show off our generation - Many old people just adore telling young people how other young people think and behave. Here is an opportunity to change the conversation! Show, don’t tell, that our generation is interested in learning about our past! I see more and more youth attending the full conference every year and I want to high-five all of them! 3. 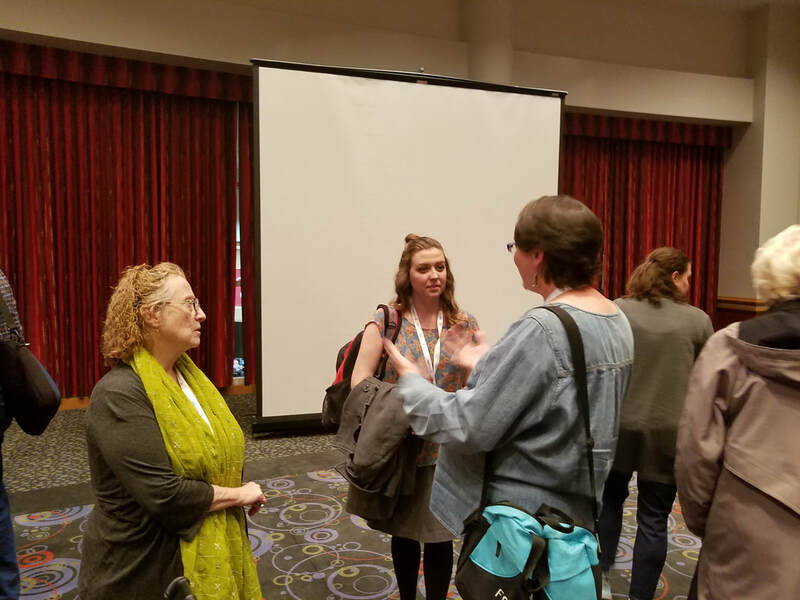 More than just the basics - If you are a teen interested in coming to RootsTech, then you are likely also interested in learning more than just the basics. RootsTech is the perfect place for expanding your knowledge! There are so many resources to learn from all in one place. 4. Think outside the temple box - In church culture, it is easy to think of genealogy as simply taking names to the temple and that’s it. There is so much more than that available for discovery! Genealogy conferences open your mind to the inspiration that can come from learning our ancestor’s stories. 5. Amazing performances and keynote speakers - So maybe classes bore you - should you still come? Yes! There are incredible performances by all kinds of entertainers and inspiring messages from keynote speakers like Olympic medalists and Oscar-nominated artists! And if you're lucky, the MC might do some velociraptor impressions. ;) Uh yeah, it’s pretty cool. 6. Networking opportunities - Are you a teen thinking of pursuing a genealogy-related career? Then I highly recommend starting now to make connections in the field. The people you talk to will be super impressed by your age alone. Trust me on this one. 7. Flexible passes - If you have to miss some of the conference because of school or other commitments, then you can buy a one day pass. 8. Avoid the crowds of children - As a genealogist, I am a big fan of youth getting involved in family history. So I should love Family Discovery Day, right? Kind of. It’s great and everything, but it also results in a lot of loud kids running down the halls which I don’t love. If you come to the full conference, you can have a more adult experience, which I highly recommend! 9. Make family history friends - I have a tradition at the Salt Palace. Every time I go there, I HAVE to get a bagel on Friday. Don’t ask me why; I don’t know. They’re not even that good. It’s just my tradition and I’m sticking to it! 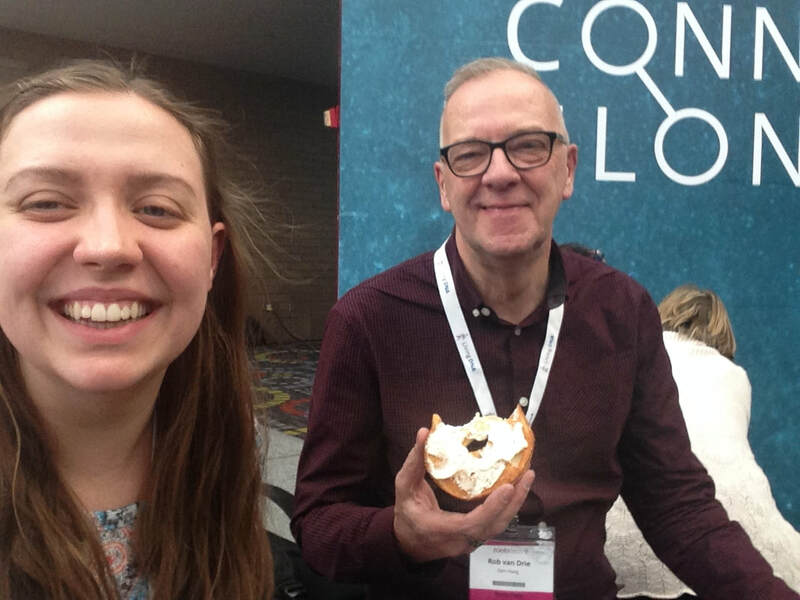 This year, I got my bagel and was just about to enjoy my first bite, when this Norwegian man sat next to me with his bagel. In our conversation, I learned that his tradition every RootsTech is to get a bagel on Friday! What are the odds?! Then we spent the rest of our conversation comparing the pros and cons of different DNA test services. We’re homies now; maybe I’ll see him next time! I love going to RootsTech with my friend, Sue! It is so much fun to be around like-minded people. There’s so much opportunity at RootsTech to build lasting relationships with fellow enthusiasts! If you have any other questions about attending RootsTech as a teen, drop them in the comments, or e-mail me at reader.writer.sydney@gmail.com and I’ll get back to you! Have a great day, and happy researching! I’ve grown up in a country at war, and I don’t remember when it started. I was 1 ½ years old when the Twin Towers collapsed. Not having known the world before that terrorist attack, I used to struggle to understand the emotional impact it had on society. When I was in junior high, my curiosity grew and I began watching videos of the attack; I looked at so many pictures. I could see the devastation of the event. 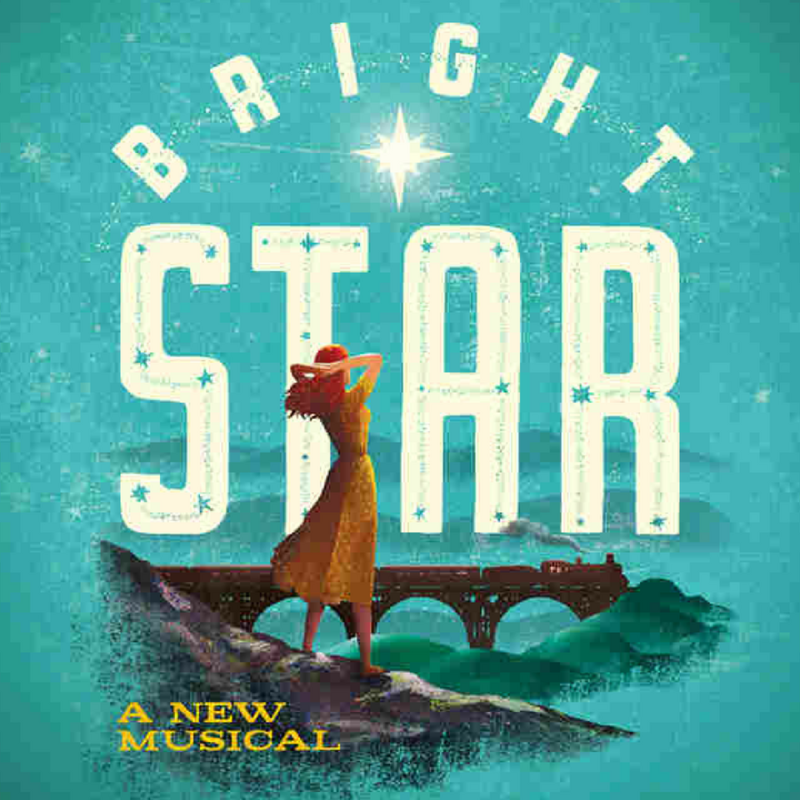 This incredible musical is tightly based on this true story. The power of theatrical storytelling reached into my heart and helped me understand not only the negative emotions, but also the beautiful ones. It brought the people who lived the terror to life. It also brought their astonishing kindness to light. It is a celebration of humanity. Theatre provides insight into the past unlike any other medium of history. 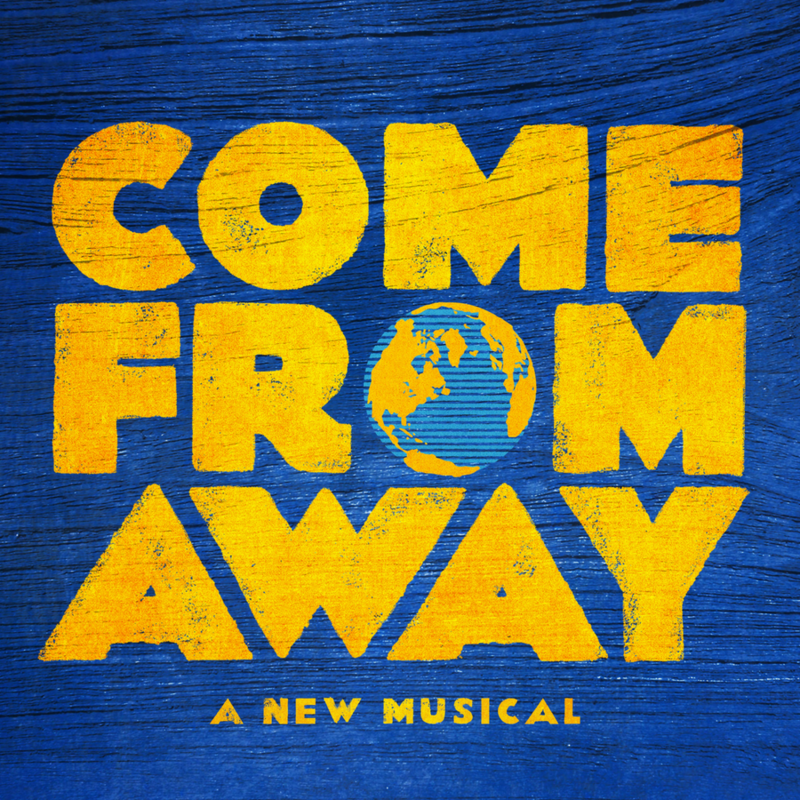 In part two of this series, I'm sharing more of the musicals that provide a look into the experiences of those who came before. 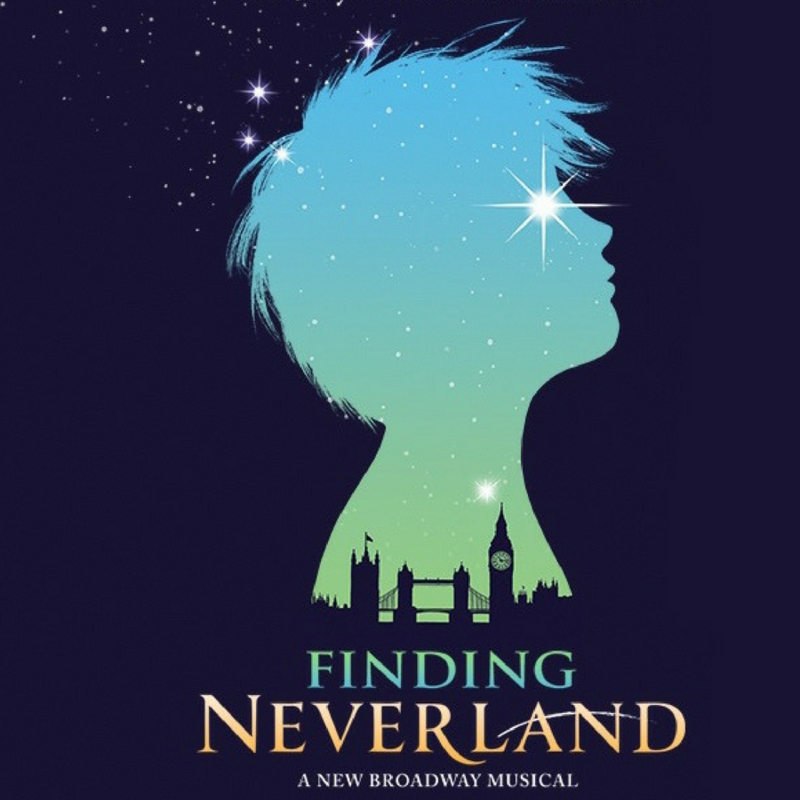 Description: This musical takes you into the heart of the remarkable true story of 7,000 stranded passengers and the small town in Newfoundland that welcomed them. Cultures clashed and nerves ran high, but uneasiness turned into trust, music soared into the night, and gratitude grew into enduring friendships. 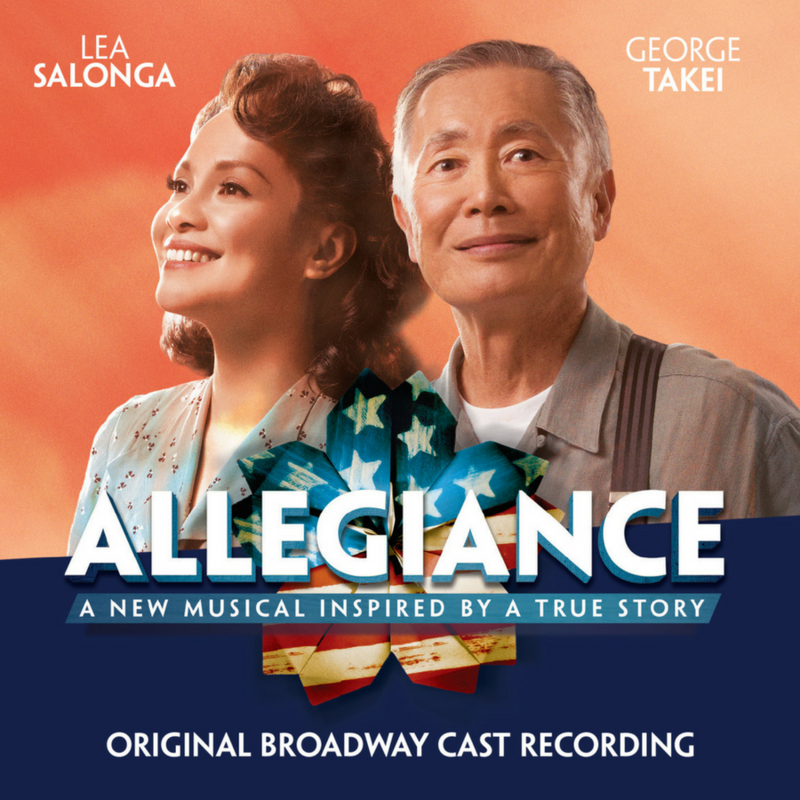 Description: Allegiance is the story of the Kimura family, whose lives are upended when they and 120,000 other Japanese-Americans are forced to leave their homes following the events of Pearl Harbor. Sam Kimura seeks to prove his patriotism by fighting for his country in the war, but his sister, Kei, fiercely protests the government’s treatment of her people. 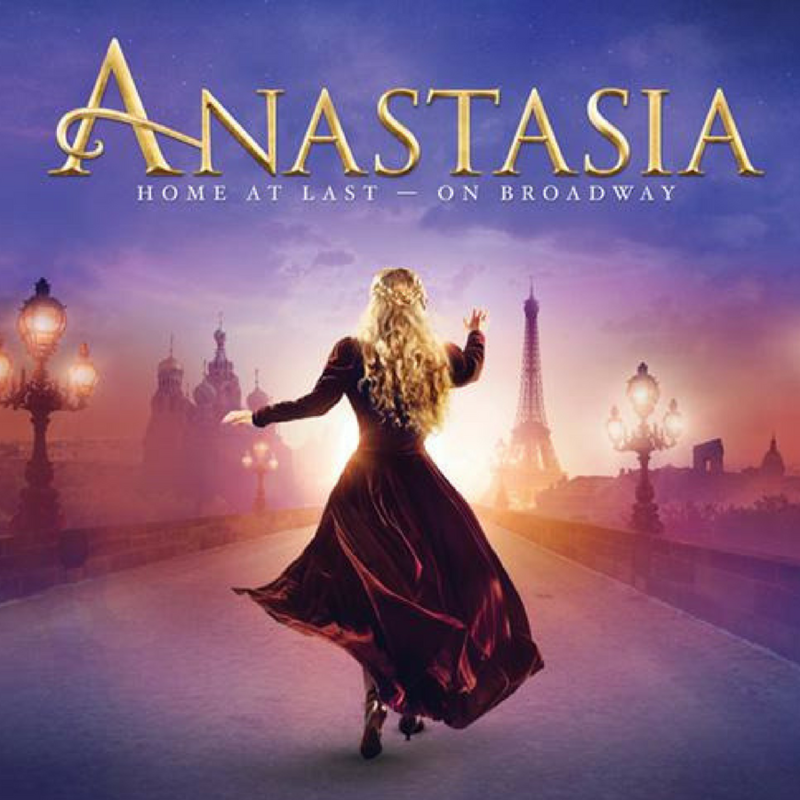 Description: Centered on the Russian/Bolshevik conflict, this musical adapts the legend of Grand Duchess Anastasia Nikolaevna of Russia, who could have escaped the execution of her family. Years later, an amnesiac orphan named Anya hopes to find some trace of her family by siding with two con men who wish to take advantage of her likeness to the Grand Duchess. 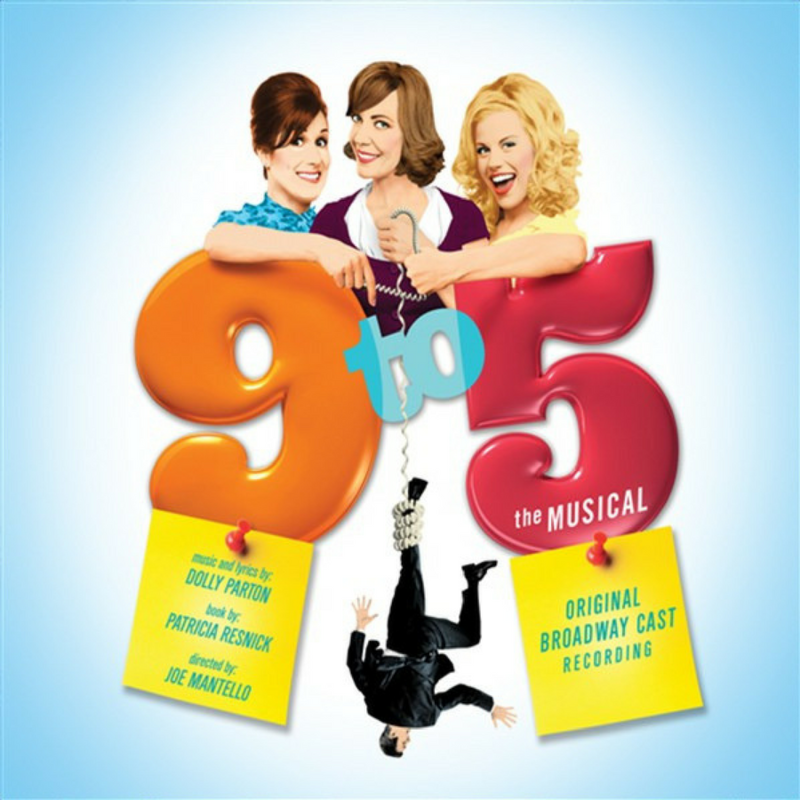 Description: This musical offers a great look into the fashion, attitudes, and climate of the 1980s. It features three working women who live out their fantasies of getting even with, and their overthrow of, the company's autocratic, "sexist, egotistical, lying, hypocritical bigot" boss. Description: It is the story of Jean Valjean, a French peasant, and his quest for redemption after serving nineteen years in jail for having stolen a loaf of bread for his sister's starving child. Valjean decides to break his parole and start his life anew after a kindly bishop inspires him by a tremendous act of mercy, but he is relentlessly tracked down by a police inspector named Javert. 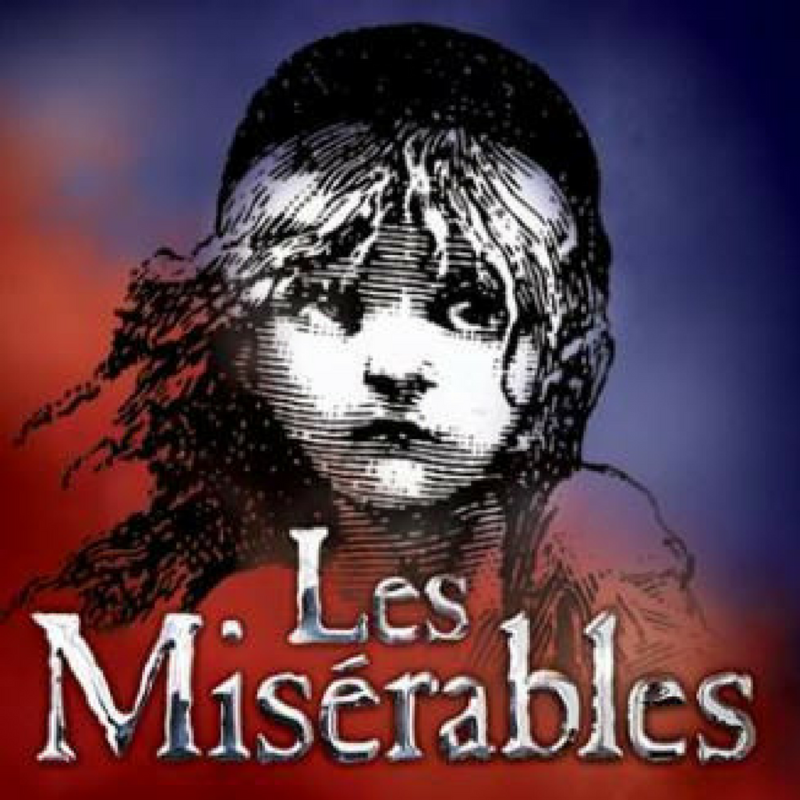 Along the way, Valjean and a slew of characters are swept into a revolutionary period in France, where a group of young idealists make their last stand at a street barricade. 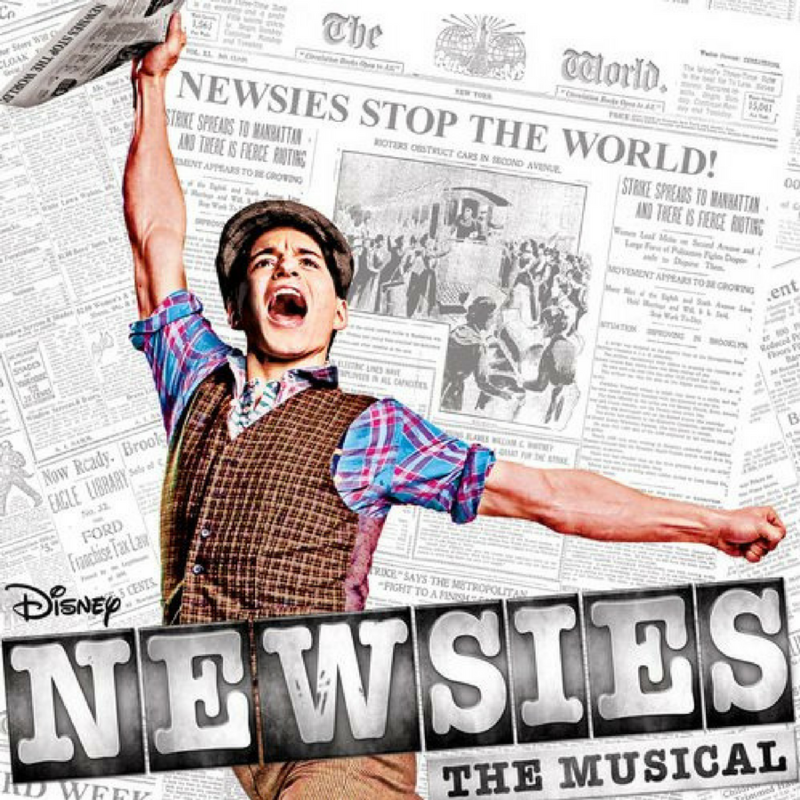 Description: Loosely based on the newsboys' strike of 1899, which was a U.S. youth-led campaign to force change in the way that Joseph Pulitzer and William Randolph Hearst's newspapers compensated their child labor force of newspaper hawkers. The strikers demonstrated across the Brooklyn Bridge for several days, effectively bringing traffic to a standstill. 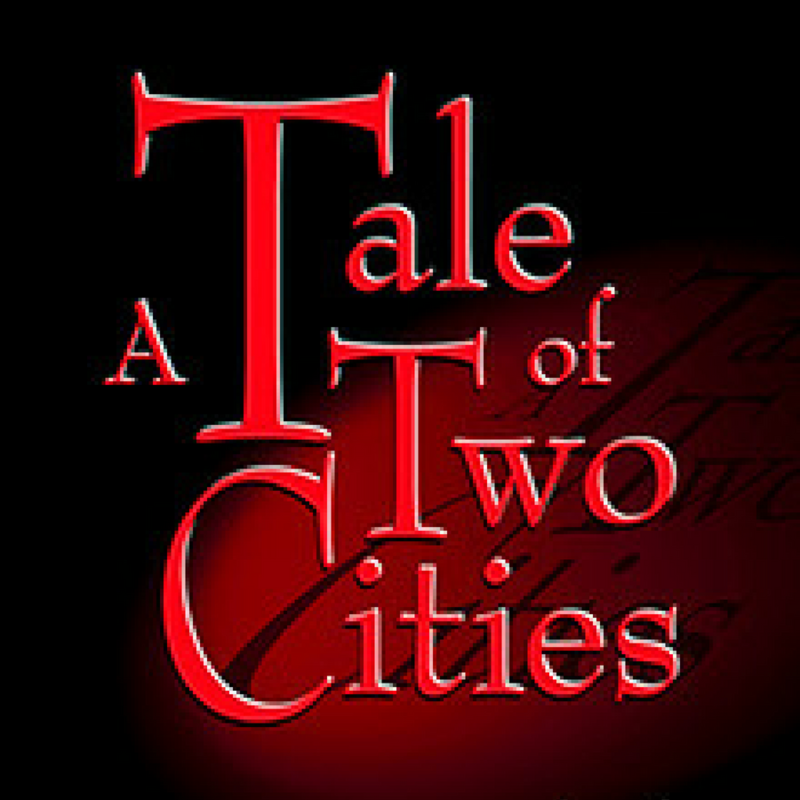 Description: This musical tells the story of the French Doctor Manette, his 18-year-long imprisonment in the Bastille in Paris and his release to life in London with his daughter Lucie, whom he had never met; Lucie's marriage and the collision between her beloved husband and the people who caused her father's imprisonment; and Monsieur and Madame Defarge, sellers of wine in a poor suburb of Paris. The story is set against the conditions that led up to the French Revolution and the Reign of Terror. 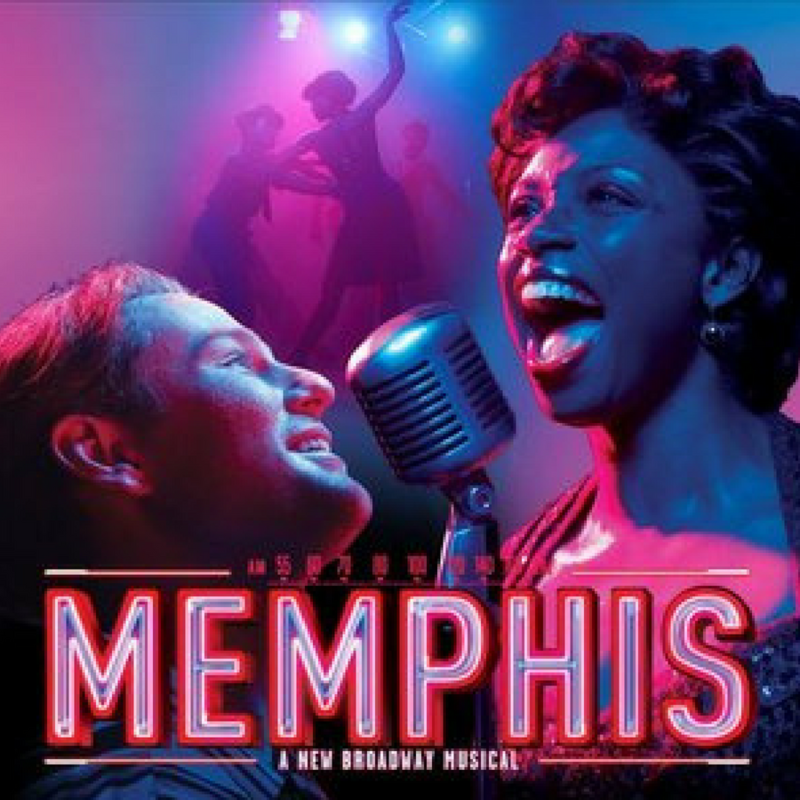 Description: It tells the fictional story of DJ Huey Calhoun, a good ole' local boy with a passion for R&B music and Felicia Farrell, an up-and-coming black singer that he meets one fateful night on Beale Street. Despite the objections of their loved ones, they embark on a dangerous affair. As their careers rise, the relationship is challenged by personal ambition and the pressures of an outside world unable to accept their love. Description: The story is set in an ethnic, blue-collar neighborhood. 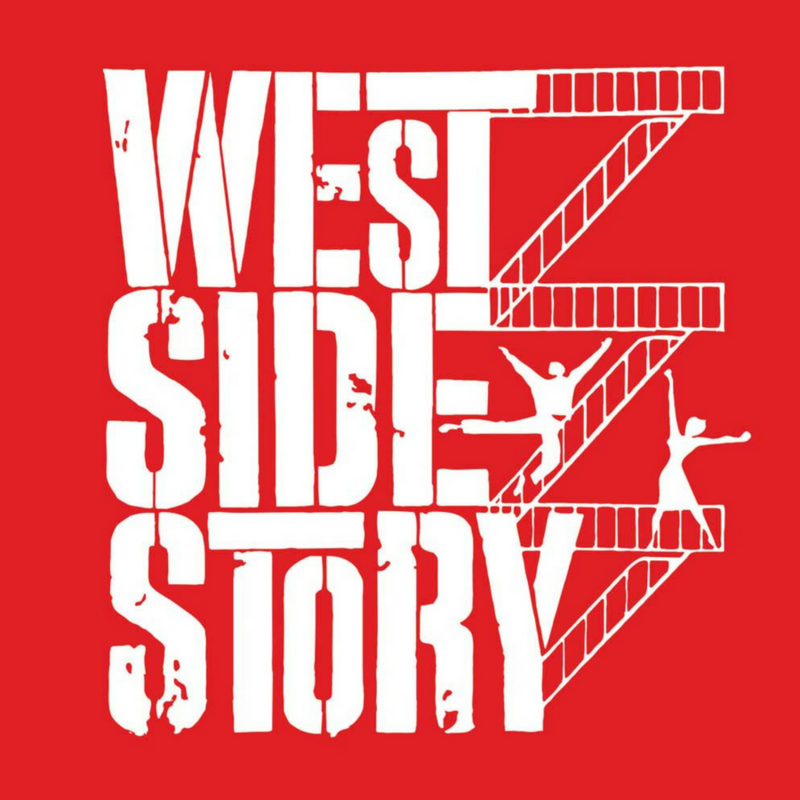 The musical explores the rivalry between the Jets and the Sharks, two teenage street gangs of different ethnic backgrounds. The members of the Sharks, from Puerto Rico, are taunted by the Jets, a white gang. The young protagonist, Tony, a former member of the Jets and best friend of the gang's leader, Riff, falls in love with Maria, the sister of Bernardo, the leader of the Sharks. The dark theme, sophisticated music, extended dance scenes, and focus on social problems marked a turning point in American musical theatre. Description: Among others, the owner, designer, and captain of the newly built RMS Titanic stand in awe of the impressive feat of engineering. As the crew arrives and the passengers board, the mosaic of characters is introduced, and their conversations reveal their social status and satisfaction with life. 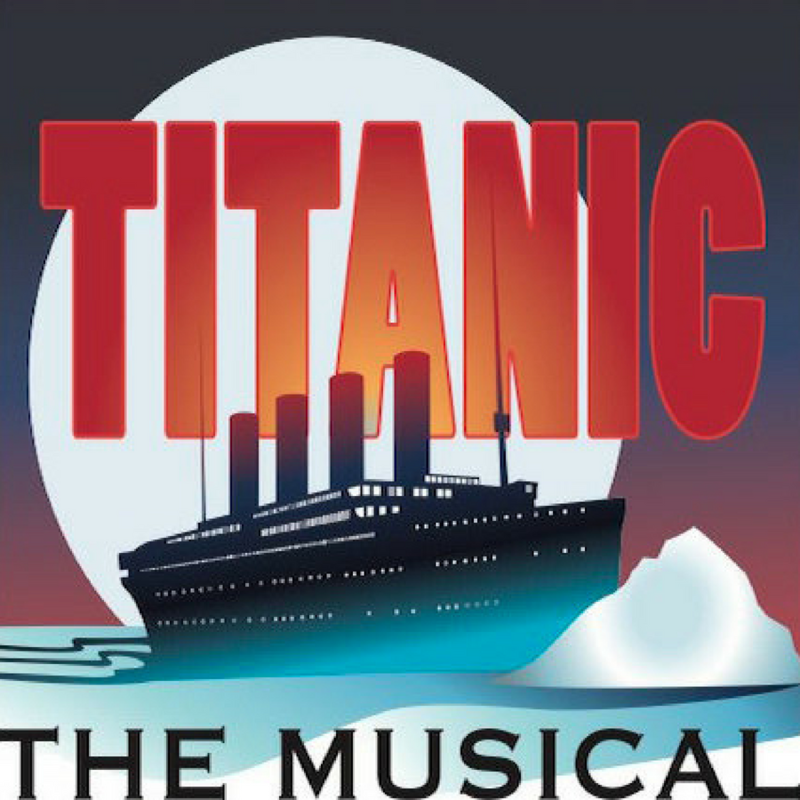 When the ship’s owner demands that the captain increase the speed to arrive in New York early, the Titanic tragically collides with an iceberg, tossing the voyage into a state of chaos and the passengers into a situation of immense danger. 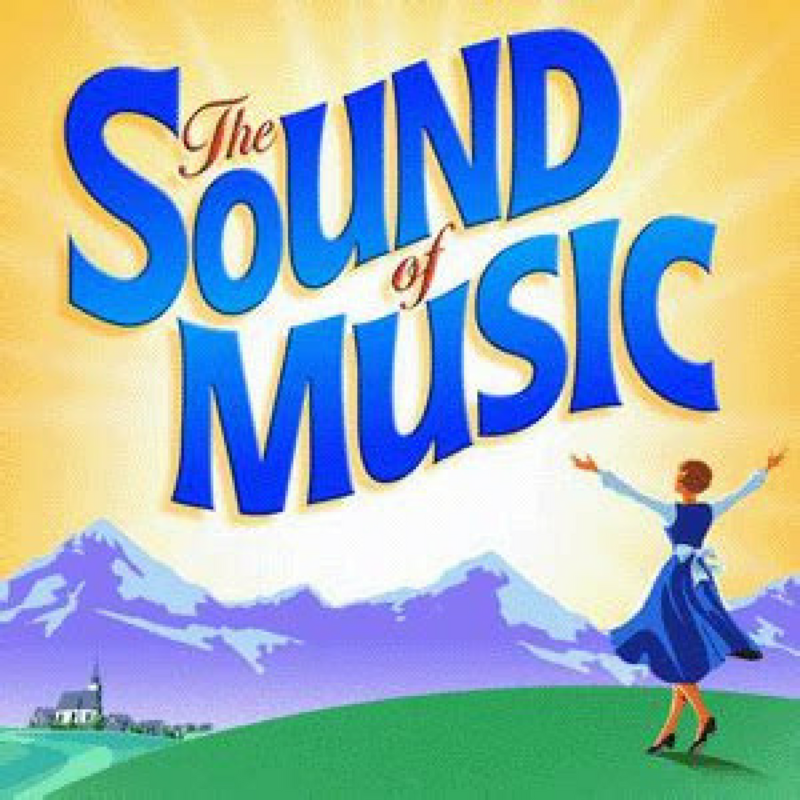 Description: Set in Austria on the eve of the Anschluss in 1938, the musical tells the story of Maria, who takes a job as governess to a large family while she decides whether to become a nun. She falls in love with the children, and eventually their widowed father, Captain von Trapp. He is ordered to accept a commission in the German navy, but he opposes the Nazis. He and Maria decide on a plan to flee Austria with the children. 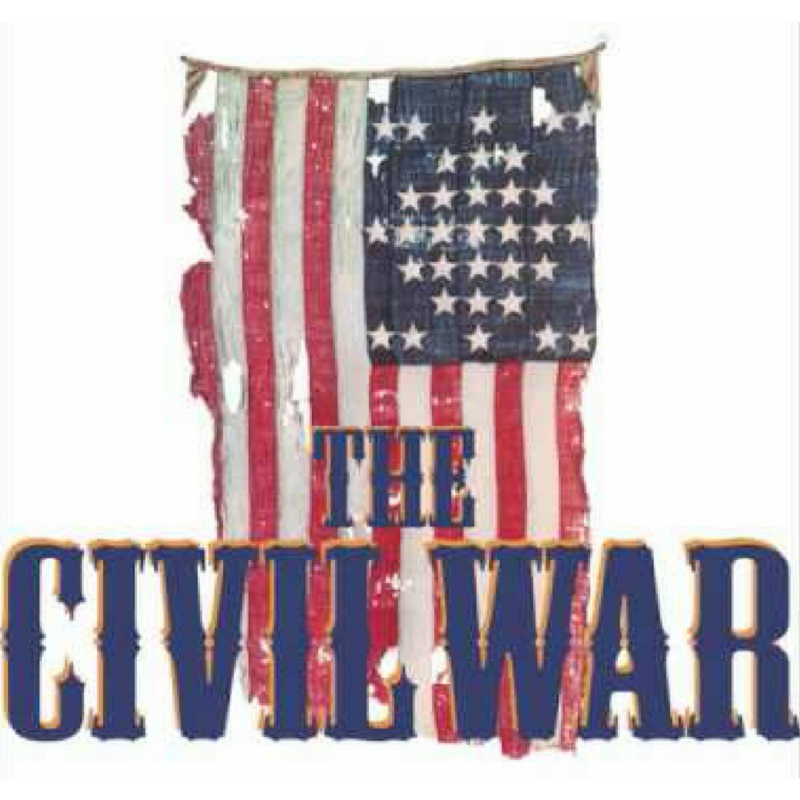 Description: This epic thematic revue puts a human face on the greatest tragedy of American history. It explores the experiences of the soldiers and leaders who fought for their way of life. 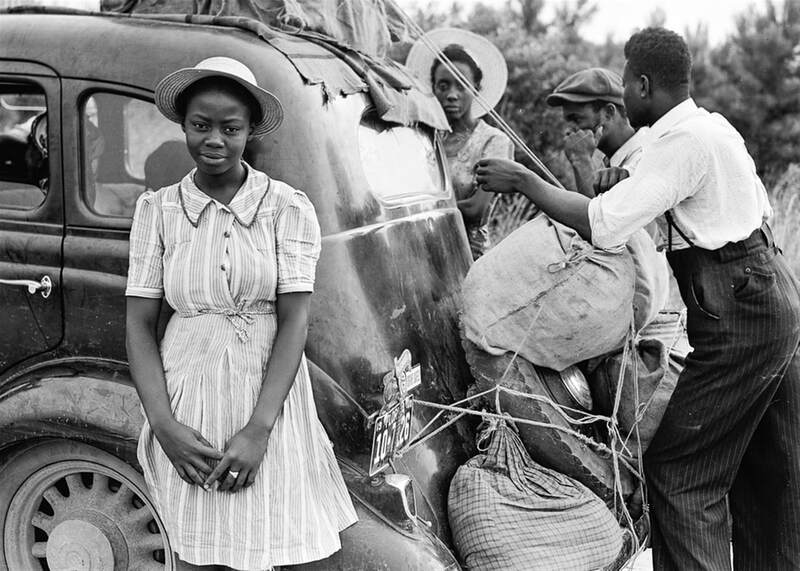 It also examines the lives of the lovers and families whom they left behind, as well as the hopes and fears of the slaves whose freedom was at stake. 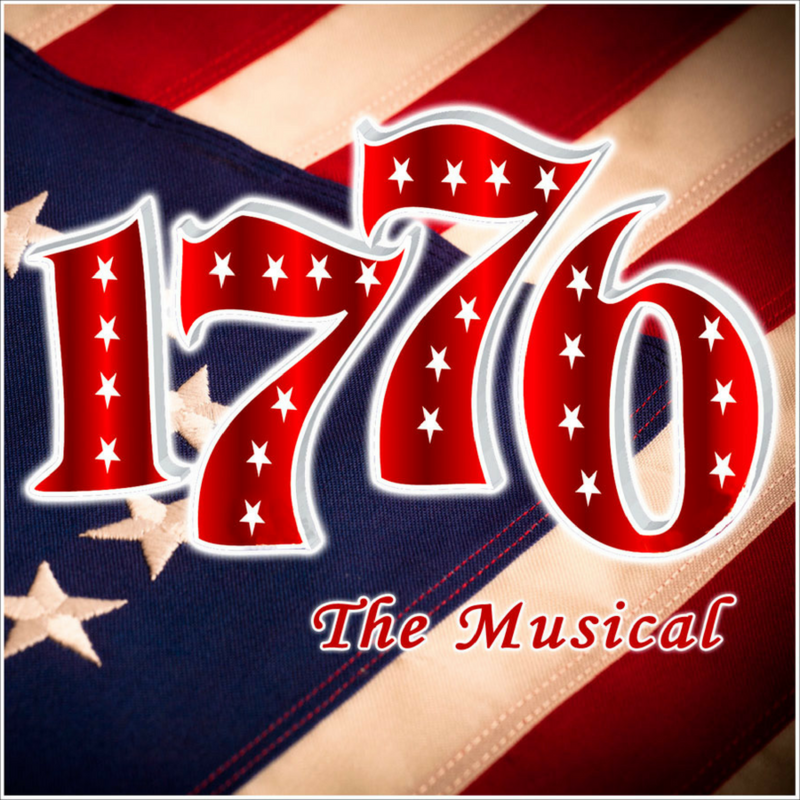 This musical passionately asks us to consider our beliefs about freedom, honor and faith. Thank you for reading! 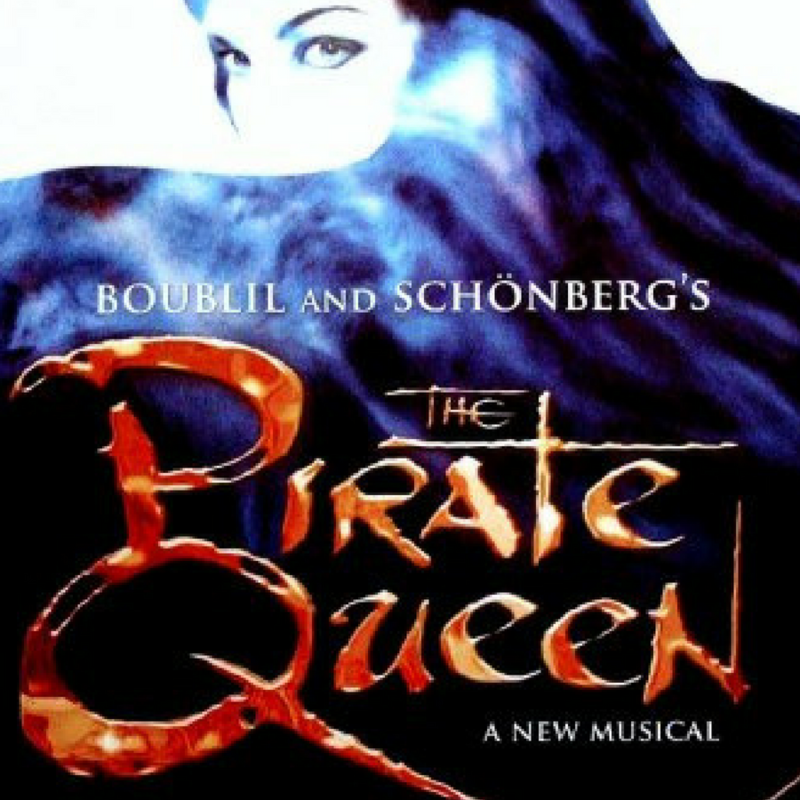 Are there any historical musicals I missed? Let me know in the comments below! There comes a time for genealogists when your past clicks, and you feel a connection to your ancestors. For me, this moment came when I was 13 years old, and I saw the musical Ragtime. “You’ll be able to see the whites of their eyes,” the usher said to us. Our neighbor had graciously given my sister and I his front row tickets to see Ragtime, ​a show I knew nothing about, at a regional theater. The lights went down, and then came back up on early 1900s New York. Immigrants, upper class families, and African Americans took the stage. We were seated so close we could feel the actors’ breath, breathing life into the past. I watched with awe as history was so masterfully presented through music, acting, set, and costume design. Suddenly the stories of my immigrant ancestors flooded my mind. This is what their life was like! I wanted to know more. Did my ancestors have enough to eat each day? Did they ever participate in a strike? Did they ever see Harry Houdini perform? Did they like Evelyn Nesbit? What did they discuss around the dinner table? My heart was touched and my mind was spinning. To this day, Ragtime remains my favorite musical of all time. Theatre introduced me to a life outside of my own, yet it also showed me the lives that created mine. Theatre creates connection, and that’s what genealogy is all about. Yes, the stories are often fictional, but the feelings ring true. In an effort to bring similar connection to others, I put together a guide to historical Broadway musicals. Exposure to simple representations of the past are sometimes all you need to feel connected to your ancestors. A particular costume, storyline, set piece, or melody may strike a chord within you and bring your heritage to life. 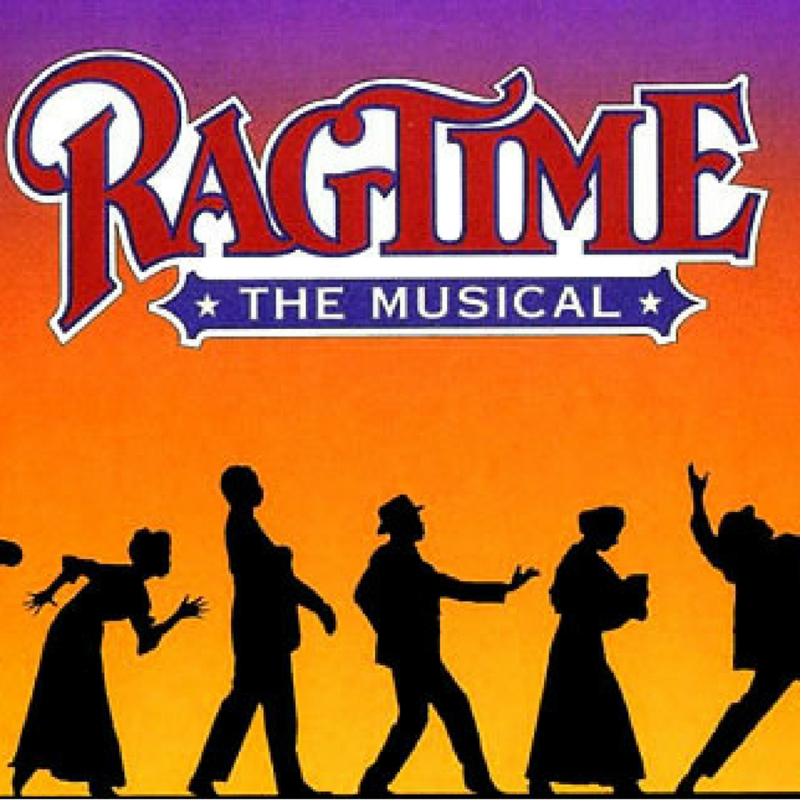 Description: Ragtime tells the story of three groups in the US: African Americans, upper-class suburbanites, and European immigrants. Historical figures include Evelyn Nesbit, Booker T. Washington, Henry Ford, Emma Goldman, and Harry Houdini. 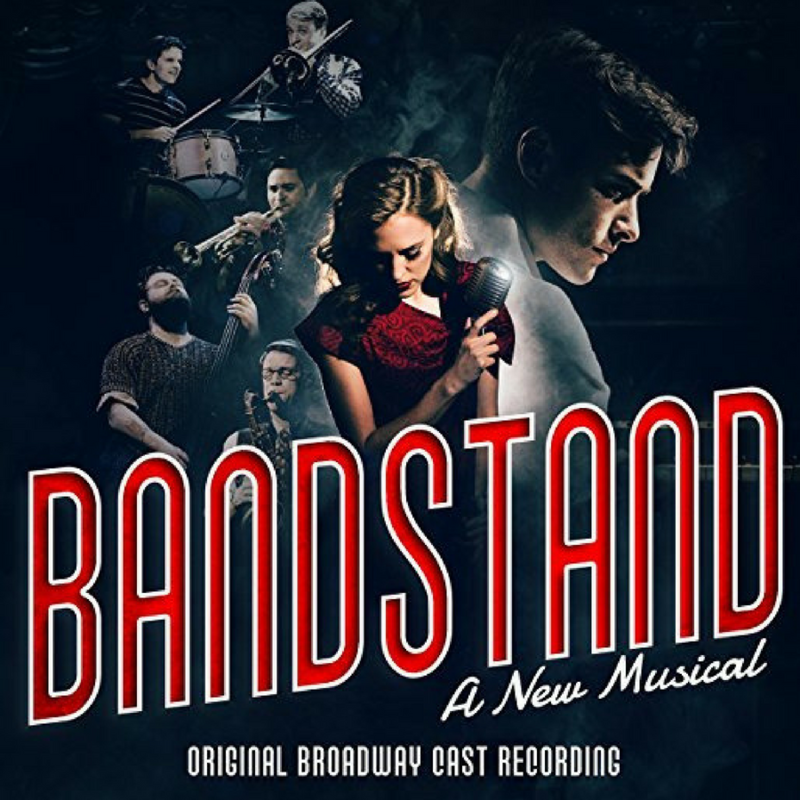 Description: The musical tells the story of a group of veterans returning home to the United States after World War II. Struggling to fit into their old lives while dealing with the lingering effects of the war – including post-traumatic stress and survivor's guilt for friends who did not survive. Description: It is based on the life and adventures of the 16th century Irish chieftain and pirate Grainne O'Malley, who was one of the last Irish clan leaders to resist the English conquest of Gaelic Ireland. 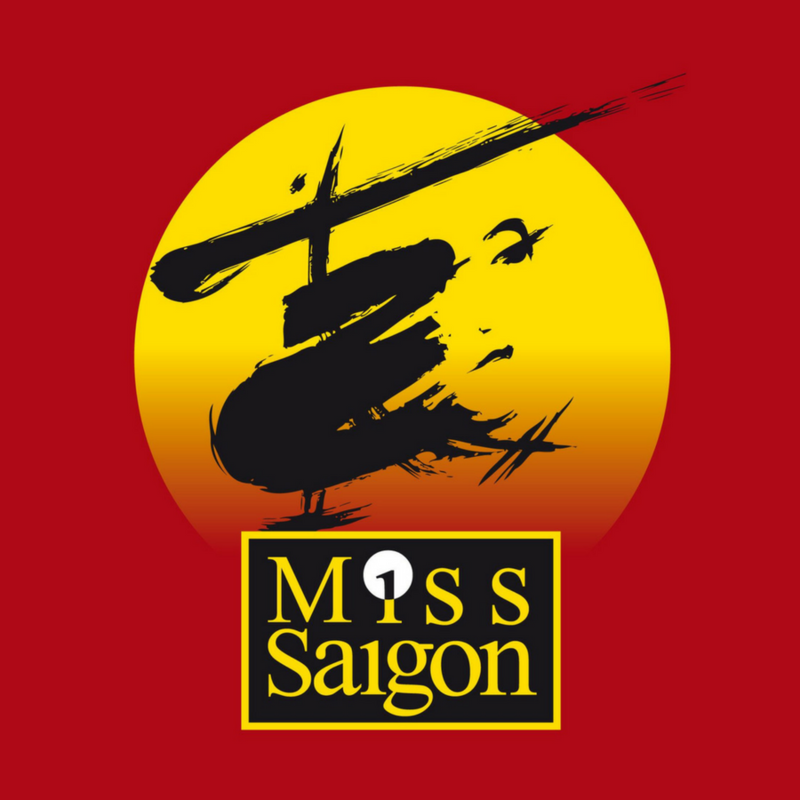 Description: In the last days of the Vietnam War, 17-year-old Kim is forced to work in a Saigon bar run by a notorious character known as the Engineer. There, she meets and falls in love with an American G.I. named Chris, but they are torn apart by the fall of Saigon. For 3 years, Kim goes on an epic journey of survival to find her way back to Chris, who has no idea he’s fathered a son. Description: The story focuses on Scottish writer J.M. Barrie, his relationship with Sylvia Llewelyn Davies, and his close friendship with her sons named George, Jack, Peter, and Michael, who inspire the classic play Peter Pan, or The Boy Who Never Grew Up. Description: It concentrates on the life of Argentine political leader, Eva Peron, the second wife of Argentine president, Juan Peron. 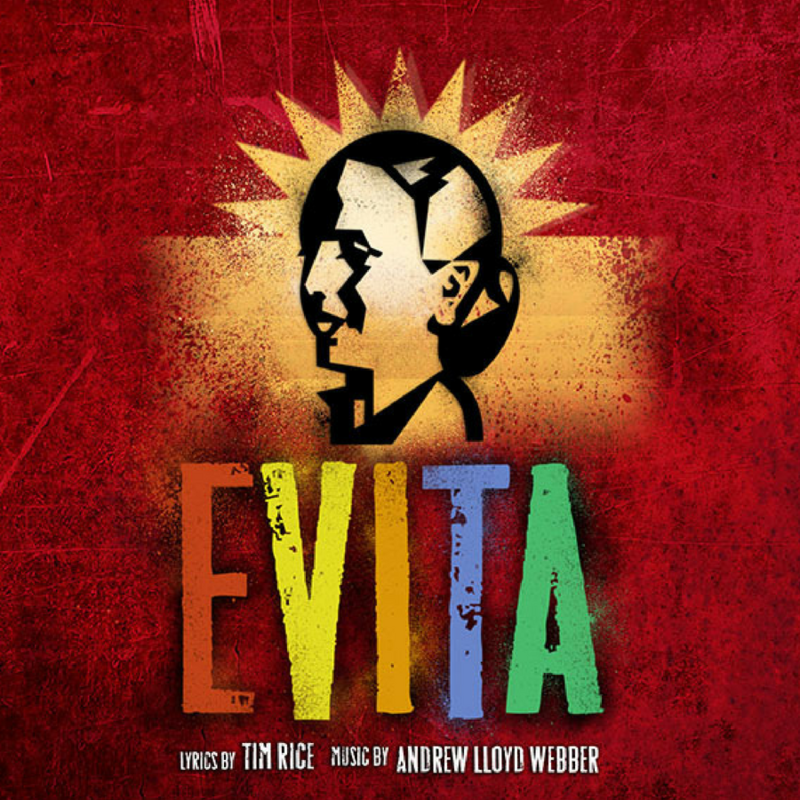 The story follows Evita's early life, rise to power, charity work, and eventual death. 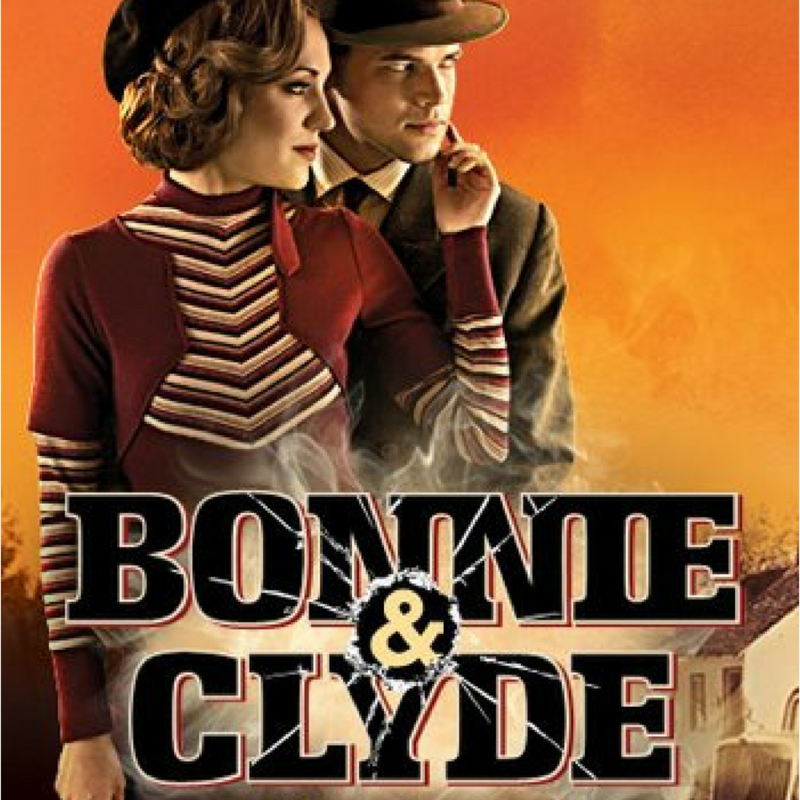 Description: In addition to telling the story of Bonnie and Clyde, this musical presents the attitudes and general experiences of society during the Great Depression. This musical explores the theme of the moral gray line created by near poverty. 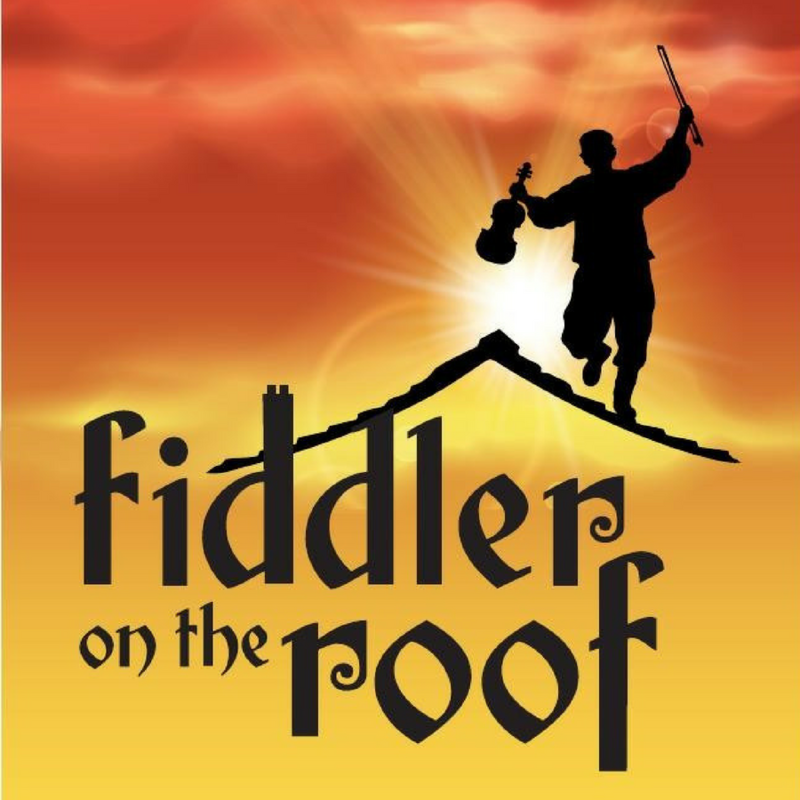 Description: The story centers on Tevye, the father of five daughters, and his attempts to maintain his Jewish religious and cultural traditions as outside influences encroach upon the family's lives. He must cope with the edict of the Tsar that evicts the Jews from their village. 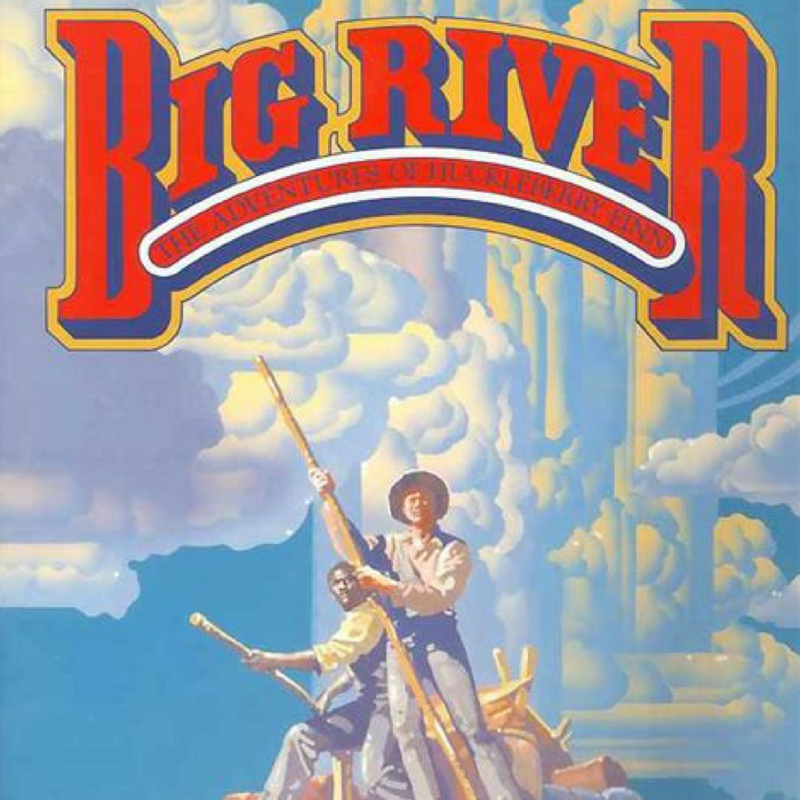 Description: Based on Mark Twain’s novel, “Adventures of Huckleberry Finn.” This musical exhibits the racial prejudice and classism of the era. It shares the stories of characters for, and against, abolishment of slavery. Part two of this blog post will share even more musicals about different time periods, locations, and themes. Keep an eye out for it! In the meantime, please share this post with other theatre and genealogy lovers! I didn’t expect to have a great experience when I drove my sister to her friend’s house across town. Her friend lived near the neighborhood I had spent ages 11-14 in. It was a lot of fun to reminisce as I drove by. I decided to stop at the creek by my old house. It was a beautiful, summery day, and the wind blew the scent of the local flowers. My mind overflowed with happy memories. I had played at that creek for hours every day with my friends. It was the neighborhood hotspot for the junior high kids. We could wade through the water, jump out of trees into the deeper parts, or just sit on the bank and relax. My Dad had built a rope swing that hung over the water and I was so proud of it. Some kids would claim that their dad had built it, but I knew the truth. I walked back and took a picture but I didn’t like it. I kept going past the fence and found a spot where someone had taken care of the greenery by the banks. It was perfect. I snapped a picture and left. 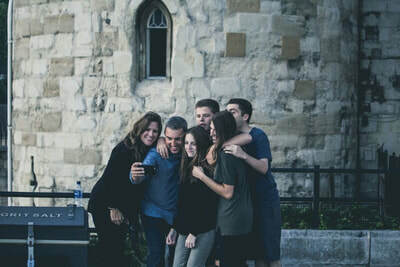 ​Oftentimes, we don’t have the option to go back and take a picture to share with our descendants. So what do you do? Well, I have found Google Earth to be an AWESOME tool for genealogy! It is pretty straightforward to use so I won’t take the time to explain how the technology works. I plugged in the address of my old house, went to street view, and screenshotted a picture! Now I have a way to hold onto that memory. ​I also like to use Google Earth to see the places my ancestors lived. I found the town where my 7th great Grampa lived in England. The place looks much different now than when he lived there but it was still fun to see. ​I found the address of my Grandma Wheeler who came to Utah with the Willie Handcart Company. I plugged it into Google Earth and was so excited to find out that her house had been restored! The Daughters of Utah Pioneers had worked to painstakingly preserve and restore her history. I was able to arrange for a tour with my family. It was a privilege to walk in the very bedroom where Grandma Wheeler nursed her children back to sleep. And to sit in the kitchen where she read the scriptures with her family. I was able to experience this because of Google Earth. ​There are several different types of learning; this format can help visual learners understand their ancestors better. Everyone will enjoy seeing the places where their ancestors lived, but for some teens, it can be exactly the kind of connection they need. Teenagers need help to learn that their ancestors aren’t just names and dates on a page. Google Earth can bridge that gap. 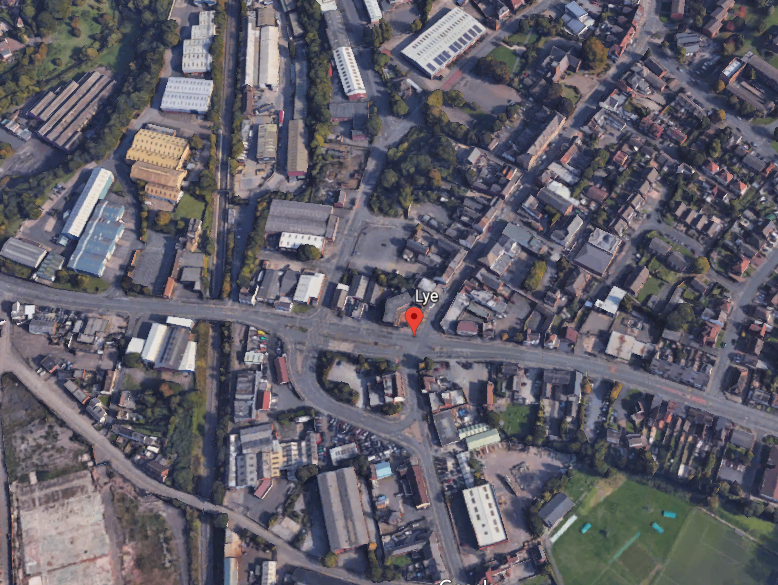 Have you ever used Google Earth for family history? I would love to hear your experiences! One of the best parts of sewing lessons with Grandma was sticking pins in the tomato. At 4 or 5 years old, I would sit on her lap while she ran fabric through the sewing machine. My job was very important; I would take out the pins as she went along and put them in the tomato. However, this was no ordinary tomato. It was an excellent pincushion made of a red and green material, stuffed, and stitched. As Grandma grew older, and I got bigger, I could no longer sit on her lap as she sewed, but she gave me lessons for several years. Over time, I progressed from being the pin girl to cutting out patterns, and then to guiding fabric through the machine. Now I am a young adult, and I do it all by myself, but I look back fondly on those memories. Recently, my Grandma asked what I want to inherit when she passes away. I walked around her house and contemplated which heirlooms I found to be of value. My Grandparents had traveled the world and had many treasures from various countries. However, I had no value stored in those objects. Finally, I told my Grandma I wanted the tomato pincushion. I explained to her that it reminded me of some of my favorite memories with her. Grandma then shared with me that my aunt had asked for the napkin rings because they reminded her of warm family meals. My cousin wanted the little statue of a man playing the trombone because he was learning to play the trombone. Grandma mentioned how interesting it was to learn how various things held memories for her descendants. Someday, I will get the tomato pincushion and I will treasure it. I wondered how many generations the tomato would make it through. I discussed this with my Mom, and in doing so, I realized that my future kids aren’t going to care about the pincushion. My kids won’t get to sit on Grandma’s lap while she sews and put pins in the tomato. 1. You never know the memories an object may hold. Ask your family, and you may be surprised at the history you learn. 2. If you want future generations to care about heirlooms, you have to give them memory value. 3. 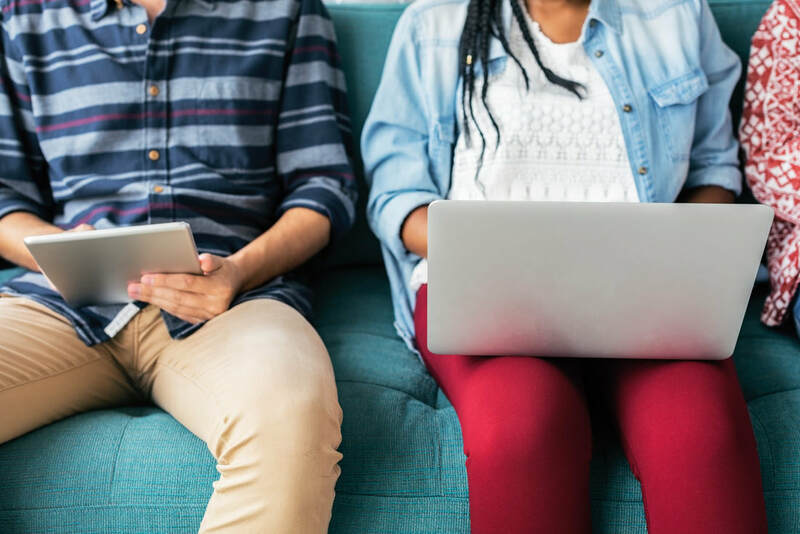 With teens, family history is all about connection. Heirlooms are a great, lasting connection that when given from the heart, will be loved by your teen. Comment below what you have learned about heirlooms. I would love to learn your insights! “We have an amazing surprise for you!” My grandparents exclaimed exuberantly. I immediately perked up from my rapid pancake consumption and nudged my sister. I was 13 years old; my little sister and I were staying with my grandparents while the rest of our family was out of town. I was so excited! Thrilled, my sister and I abandoned our pancakes, rushed to change out of our pajamas, and headed out the door! Grandma first drove to the bank where she picked up a wad of cash. We drove through Salt Lake City and neared Seven Peaks Waterpark. My anticipation grew as I waited to turn into the parking lot. But then we drove PAST IT. At first I was confused, but then I figured we must be doing something even more exciting than a waterpark if we skipped over it. “What could it be?” I wondered. We continued driving until my grandparents pulled into a cemetery and told us to get out of the car. They told us some facts about when great, great, great Grandmother was born, died, and where she lived. It wasn’t until we were driving away that I had a disappointing realization. I do not share this story out of disrespect or to complain, but rather to illustrate a principle: The importance of connection. In my RootsTech presentation, I identified three keywords that summarize how to involve youth in genealogy. They are Respect. Connect. Expect. 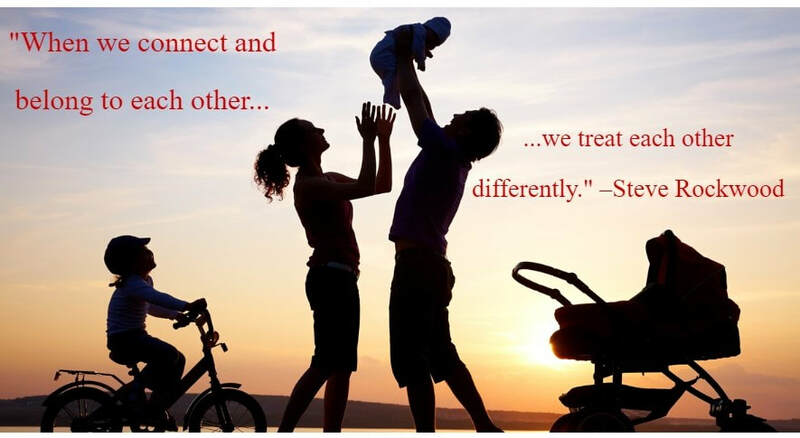 We’ve already discussed Respect so now it is time for Connect. Building or realizing a connection between yourself and your ancestors is the motivation for doing family history research. If I had known stories about my 3rd great grandmother before we went to the cemetery, I would’ve had a connection with her that would create a more fulfilling experience. Through the lense of teenagers and genealogy, connecting can be done in many different ways. In the following weeks I will be writing about connecting through various hobbies, heirlooms, stories, mobile apps, etc… Keep an eye out for those posts. I am excited to share practical and hands-on ideas with you! Wow! 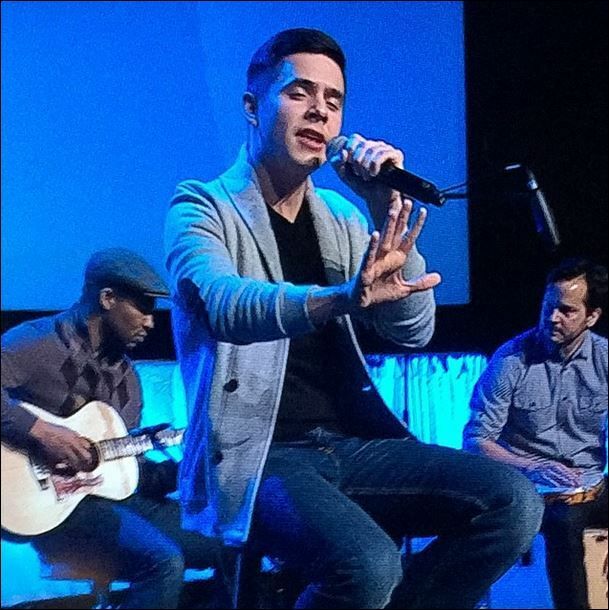 What an amazing week at RootsTech! I am working on a conference re-cap blog post, but in the meantime, I would like to share this video of my presentation. I was invited to speak for 8 minutes as part of the RootsTech class titled "Family Organizations in the Digital Age." It was a dream come true! I spoke about involving teenagers in family history. Shout-out to my Dad for recording this video! Let me know your thoughts in the comments! There are three main keywords when it comes to involving teens in family history. They are: Respect. Connect. Expect. Today I want to share with you my thoughts on “Respect”. School for the average teen starts at 7:30 in the morning and lasts for 8 hours. Then the average teen usually has some kind of afterschool activity, if not multiple, such as play rehearsal, soccer practice, debate club, etc… Then many high schoolers go to work. After returning home from a tiring shift, they start on homework. This takes hours, especially if they are enrolled in any advanced classes. They go to bed and hope for some restful sleep before doing it all over again the next day. Teens already feel that they are not good enough. Don’t add to this by saying things that sound as if you look down on them for their lack of participation in genealogy. We are trying our best and sometimes we just need guidance, but we don’t realize it. Be patient. ​Hi! I’m Sydney Orton. I am 18 years old and I love genealogy! I’ve been doing it for 7 years now and love sharing my passion with others. In my free time, I enjoy musical theatre, cooking, and kayaking.